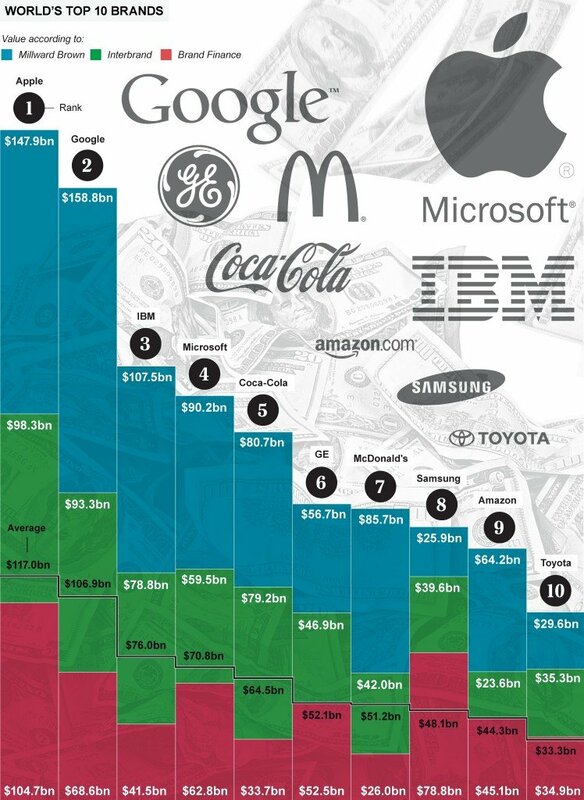 According to three different media agencies: Millward Brown, Interbrand and Brand Finance, Apple is the most valuable brand in the world – worth on average $117bn. Here are 9 others that made the list. What happened to Facebook?